After a full year of not releasing a new podcast episode, the Niche Pursuits podcast is back! I enjoyed my year long hiatus, but it felt great to get back behind the microphone and record a new episode with Jake and Jason. The content of this new episode focuses primarily on the announcement of Niche Site Project 4 and how the project will work. Spencer: Hey everyone. Welcome back to the Niche Pursuits podcast. Can you believe that it has been almost a year since I recorded an episode? But I’m back and it feels good to be back behind the microphone and record another episode. I've got some exciting news that we’re going to announce. But first, I want to reintroduce you guys to Jake Cane and Jason Wilson. They’re joining me on the podcast. Jake, go ahead and start. Maybe just brief reintroduction. Who are you? What’s going on? And Jason, I’ll let you do the same. Jake: Sure. Hey guys, it’s good to be back. I’m glad to be recording our annual podcast, always exciting. My name’s Jake. I’ve been working with Spencer for three or four years now. I was a Niche Pursuits reader for many years before that. Maybe like many of you, it was 2008 and I was just trying to figure out how to make some extra money. That’s when I started my first website. Took several years before I really cracked it, but ultimately ended up working with the LongTailPro software with Spencer a couple of years ago. Now, I have a few successful niche sites under my belt, and happy to be here, happy to be on the team. Spencer: Yeah, absolutely. Is it okay to share that your sites are making over five figures a month? Is that safe to say? Jake: That’s safe to say. I guess it’s okay to share since you already shared it. Yup, definitely I have some sites that are going really well and growing pretty quickly. It’s really exciting. Spencer: It is. We’ll see how long Jake is around as an employee and on the podcast, but we’ll keep him around for as long as I can. He keeps doing really well for himself. That’s awesome. Jason, what about you? Jason: Hey guys. Thanks for having me on, Spencer. For those who don’t know, I quit working my corporate job about a year-and-a-half ago and joined the Niche Pursuits team. Prior to that, Spencer and I go way back. Spencer and I have known each other since our days in banking back in 2003-2004. I started following Spencer in about 2013, started dabbling in niche sites on the side along with my corporate job. Finally, I had a spot last year where I could quit the corporate job and join the folks in the remote work environment, which has been just amazing as far as family time and everything is concerned. The last year-and-a-half has been really, really fun. It’s been great working on a lot of Spencer’s projects and I also, along with Jake, I have two different affiliate sites that I own and run. 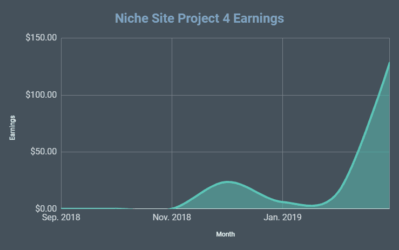 Those sites are also doing pretty well and just focused on growing those as much as possible while working here with the Niche Pursuits team. Happy to be here. Spencer: Yeah, absolutely and you have other big news. You are moving away from Arizona, I understand. Jason: I am, yes. I've lived in Arizona my entire life and now since we have the ability to work remotely and I’m with the Niche Pursuits team, I can work really wherever I want. I can be in Africa, technically, as long as there’s a stable internet connection. We decided to uproot ourselves from Arizona and we bought a home. We actually closed on it yesterday and we’re moving later this week. We’re moving to Tennessee, to a home on 12 acres, to live a completely different lifestyle and see what it’s like to explore rural living. We’re super excited about that. Spencer: Yeah that’s amazing. It’s a huge journey, a huge change from Arizona to Tennessee, but just the ability—and sometimes I take that for granted—to be able to work from home, as long as you've got an internet connection, it doesn’t really matter where you live. You’re really exploring that now. Spencer: Yeah, absolutely. Do I need to reintroduce myself? It’s been a long time. I don’t know. We’ll just let you go over nichepursuits.com. I created that and you can read my About page if you don’t know who I am, hopefully you do, or listen to some of my previous podcasts. I wanted to record this podcast because we have a big announcement. Maybe you already saw it on the blog, but I want to do it on the podcast because I know there are a lot of listeners that only listen to audio or prefer audio. The big announcement is that I’m doing another niche site project. It’s going to be Niche Site Project 4 and it’s starting immediately. We’re going to dive right into it and build a niche site from scratch. The idea behind the project, I’m going to start a brand new website, I’m going to show all the strategies, document that on the blog, it’s going to be a place where people can follow along, and hopefully build a website of their own. It’s interesting. The reason that this came to mind, the reason I decided I wanted to do Niche Site Project 4, give a little bit of background, I’ve been on vacation for the last two and a half weeks, did a big road trip all over several states. Did almost over 4000 miles in the car with my four kids, certainly an adventure there. But it got me thinking while I was driving behind the wheel there doing my best to ignore the chaos going with the four kids behind me, started thinking about my background, what types of sites I’ve been building, the business I have, and I missed building a new website from scratch. That’s really the reason that I decided I wanted to do this project. When we’re doing the fourth time around, how is it different? What am I doing differently here? Maybe one of you two can chime in. Maybe Jake, I’ll let you since you were actually involved in Niche Site Project 3. Maybe what was Niche Site Project 3 a little bit and how is number 4 going to be different? Jake: How many years has it been since your original Niche Site Project? Spencer: The original one was in 2013. I think it was near the beginning of 2013, if I’m not mistaken. Jake: So, five and a half years ago. One thing listeners are probably wondering is, Spencer is a little long in the tooth, he’s up in his 40s now, has he still got it, right? Spencer: Bring me out of retirement now. Jake: Can he still make it work? No, it will be good. I think that Niche Site Project 3 obviously we did a little bit of coaching. Each one of us took a student, somebody that had never built a successful niche site before, and try to talk them through that process. In this case, we’re using our own team as opposed to coaching somebody else. I think what’s cool is that some things change, but I think we would all agree that a lot of the core principles of how you’re going to try to go about building this site, are really very similar to what they were when you started in 2013. Some things were different but I think there’s a lot of similarities, too. People maybe that have been following along with all the Niche Site Projects will probably see that. We’re still going to be talking long tail keywords and things like that because they still work. Hopefully, we’ll prove that out once again. Spencer: Yeah, I agree. I think a lot of the principles are the same, but this is the big reason I want to do the next Niche Site Project is that people are always wondering, “Well, does this stuff work now?” What has changed, if anything? 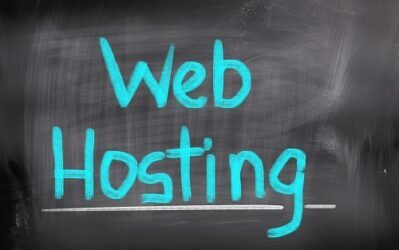 How are you going to build a site in 2018 or 2019? This project will obviously go into the new year. People want to see that and they want to see it live, they want to see it happening now. If nothing else, even if maybe the way we’re targeting specific keywords hasn’t changed much, they just want to know as a confidence booster, does this still work right now? Spencer: That’s a big reason why I want to do Niche Site Project 4 as proof that it still works, but also I want to get people involved. I don’t just want it to be me building a website and say, “Hey, I’m able to build a successful website which, fingers crossed, that happens. There’s no guarantee that everything’s going to work out perfectly, but I’m excited to give it a shot.” I want people to be able to join in. Let’s talk about that a little bit. How can people join in? Jason, maybe I let you chime in here and I’ll fill in the gaps if there are any. What’s your perspective? We talked about this a little bit. How can other readers, other people join into the project? Jason: I think it’s going to be great because since we’re not picking specific people to coach this process, it’s really going to be folks working at their own pace. The cool thing is you can start right where we start from the very beginning and essentially just follow the steps. We may have a little bit more advanced tactics that we know just because we’ve been doing this for a long time and we maybe testing some things that some of the readers that are just starting out haven’t gone through, but the nice thing is, from my understanding, Spencer, we’re going to be documenting pretty much everything we do and people will definitely be able to follow along with how we get the results that we get. Spencer: Yes, absolutely. The plan is to document everything pretty well. We’re going to be doing blog posts along the way. I imagine early on I’m going to be doing much more frequent blog posts, maybe a couple of times a week, where I’m doing an explanation sort of tutorial, “Here’s how to find a niche. Here’s how to find keywords,” and then also start sharing results as there are results. Then later down the road, it might just be monthly reports, once every six months down the road or something like that. It will get a little less frequent, but you’re exactly right. We’re not coaching any students one-on-one like we were last project, but I still want people to be involved. We have a dedicated Facebook group, the Niche Pursuits private Facebook group, where people can join and share success and ask questions right there within the group, and I’ll be involved there a little bit as well. People can follow along with the blog posts and of course the podcast. We’ll see, maybe I’ll even do a webinar, too, where people can join in, watch and get additional advice and tips on what they should do to build their website. So, 306 people. That blows me away. I was not expecting that at all, especially since when I sent out my email and wrote my blog post yesterday, I haven’t even created this form yet. I sent my email and a thousand people read the blog post, and then later in the day, I was like, “You know what? I should get people a way to join.” I expect this number will just keep rising as I officially email it out. Jason: Spencer, we’re going to do a leader board or something like that when folks give us updates or something like that? Maybe within the Facebook group just let folks know how people who joined at the same time are fairing along during the way? Spencer: Yeah. I think that’s a good idea. I haven’t thought through all the logistics, but I think what I will do is, now that I have everyone that’s officially in—and people can still join, I’m going to allow people to join all along the way for the first month or two, so if you’re listening and you haven’t filled out this form yet, you can do that—I’m going to do, I think monthly updates on the blog, of course, for incoming reports, traffic reports for myself. But I think I’ll email everybody that’s joined in officially and get those stats for them as well each month, and I will post that right in the blog post. Everybody will maybe just get one-line item that will say, “Person XYZ, their website if they’re willing to share publicly, the traffic and then their earnings,” or something like that, and I’ll post that on every monthly update that I do. Spencer: Yeah as we get down the road, maybe people will have their own blog and maybe we can include those in the reports, if they want to give more detailed updates or something like that. Were either of you thinking what’s a pretty link URL on Niche Pursuits I can send people to to fill out this form? What do you think? Jason: Yeah. There you go. Spencer: Let’s do it, nichepursuits.com/nsp4. If you want to join in, fill out this form, go to that URL, nichepursuits.com/nsp4. Thanks for the creativity there, Jake. Appreciate it. All right, let’s talk about the main goal for the project itself. I touched on that a little bit. One is that I’m excited to get back to my roots. 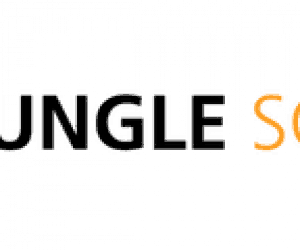 I want to build a site that does well on Google, that can prove that you can rank for certain long tail keywords, that you can produce content. I want to share what the latest and greatest strategies are that are working for us. It has been a little while, three years since Niche Site Project 3. Some of our strategies for content, updating content, and other little things have been tweaked a little bit over the last few years. I want to show what we’re doing that’s working well on some of our sites. But as well, I want to get other people motivated. People that are reading Niche Pursuits want an example to follow along. I want them to get excited. What do you guys think? Jake: Spencer, you’ve seen just throughout Facebook comments and stuff like that and then we talked about it a little bit internally. People over the years from the past niche site projects that people you didn’t even know about. These aren’t people that you are in contact with or coaching that are sharing success stories if just like you said, with the motivation. I was just quietly following along and when you did Niche Site Project number 1 and number 3, I decided, “Hey, I’m going to start my site and following along.” Talk about that and there were some pretty impressive numbers that people are reporting back from previous projects, right? Spencer: Yeah. It’s been really interesting just over the past couple of days. People don’t just reach out and give a testimonial unless something sparks their memory and I think that’s what happen. 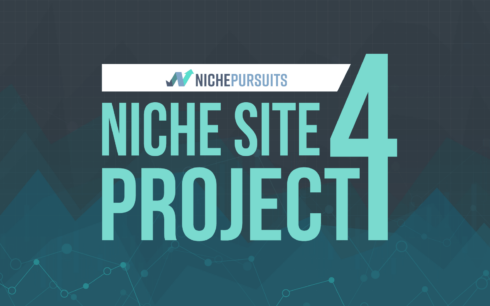 The last couple of days I’ve been posting about Niche Site Project 4 and a few people have been coming out of the woodwork, people I had no idea were even been following along previous projects, Niche Site Project 3 in particular. 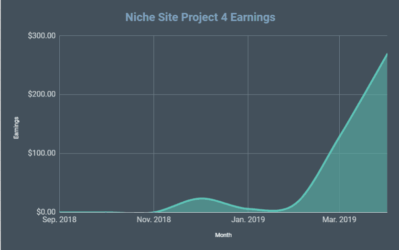 A couple of people have reached out and said, “Hey, Niche Site Project 3 was the motivation behind me getting started creating a site and that site now, at least one person, they shared that it was making $10,000-$11,000 per month. They shared that with me privately, they didn’t want me to share their names so I won’t do that here. But other people beyond just that one person, people who’ve said, “Hey, that’s where I started building. I got my first successful site. It’s doing really well.” People have been able to replace their day job income or just have a really great side income from these previous projects. Sometimes, I miss some of that because literally, thousands of people have watched this project. I don’t know who’s successful and who’s not. I don’t really have a mechanism in place for a lot of that. It’s really motivating for me to see that success and I love that. I want to see more of that. Jason: I think this is perfect timing too because a lot of people, like in our Facebook group, I’ve been seeing people posted. They’re still following along and going back and listening the content from Niche Site Project 3. They’re still pulling stuff from three years ago, finding some of the strategies definitely still work, but they’re still going off of that data. This is perfect timing for a refresh just to show them exactly, not only do the core principles still work, but a bunch of the other stuff that we’re doing right now, that’s helping out, too. Spencer: Absolutely. Maybe I should touch on monetary goal for the project. 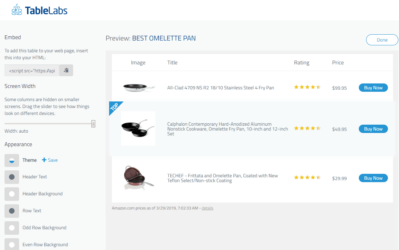 Big picture, I want the site to do really well over time. I would love to have a site that’s making a couple of thousand dollars a month, but I’d love to get it over $5000 a month, if possible. I don’t know that timeframe is, maybe I’ll let you guys chime in there what I should expect. I certainly have some opinions. But another intermittent goal is the six-month goal. I’ve always had the goal of $500 a month after six months. I think that’s ambitious, but I think it’s possible. I’d like to set that at least as an initial goal. I’d like to have a site that’s making $500 after six months, but long term I want to keep building the site, making it into something significant that’s making over $5000 a month. Any thoughts on timeframe or monetary goal there, guys? Jake: No. I think that that’s good. I think that’s a good goal to set. Obviously, if you’re listening, and joining along, your goals maybe very different than that. For some people, extra $300, $400 a month is a really meaningful side income. Maybe you’re not looking to replace your day job. I think that you’ll find we’ve got a little bit of money to invest, to try to ramp things up quickly where you maybe just doing everything yourself. I think your expectations if you’re lining that up may look different just depending on what resources you have out of the gate, how much cash you've got to spend as far as outsourcing content, things like that. But I think what you’ve laid out based on how are we going to approach it, pretty good goal to keep in mind. Jason: Yup, I agree. I think it’s a reasonable goal and I think it’s definitely attainable if we just follow the strategies that we’ve been working through the last six to eight months on both our own projects and the projects that we do for Niche Pursuits. I think that’s definitely a reasonable goal to hit. Spencer: I think it’s important for people to realize just in this discussion that the website isn’t done after six months. It’s a ongoing project. It’s not done after a year or even two years. That’s a lot of times where the more exponential growth starts to happen is after a year-and-a-half or two years. Once your site starts to get a lot of authority, you’re ranking a lot easier and quicker for new stuff in Google. This isn’t just a quick, like, “I’m going to do this project for a couple of months and it’s over.” This really should be something that’s long-term. I’m building sites for longevity that do well over the long term. I just want to make that point as well. Jake: Yeah and that’s the thing guys. If you’re thinking about joining in—I say this all the time, I just said this on a Facebook comment this morning, somebody was questioning whether or not this stuff actually works—a lot of people will start hot out of the gate and go for a couple of months. You’re probably not going to make any money in the first couple of months and you’re going to be working hard. It’s not easy, it’s not fun if you’re doing it all yourself. It’s a lot of tedious work. That’s where a lot of people quit. For those people, it doesn’t work. Of the 300+ people we’ve had signed up, I hope all of you guys stick around and do it, but I think it’s an important point if you’re going to stick around for a couple of months and then it fades in to a half-finished project, it’s probably never ever going to make any money. I think if you come in with the right expectations knowing that upfront, that, “Hey I’m going to be working really hard for a few months and not see any results,” I think it will be okay. You just need to know that. The good side of it is, like Spencer said, it’s an ongoing thing, but you can work a lot less hard once you get past that initial hump and you do start making some money. There is a passive side of this and I think that’s why we would probably all agree, we really like this business model, you start making money, you’re profitable, you can outsource content, then you can really grow really quickly. I think we all three are currently on that side of it, so we’ve seen that side of it. If you’ve never seen that before, maybe it’s hard to envision, but I think would all emphatically say it was definitely worth it. We all put in our time where it was hard and not fun, but once you’re successful with it, it’s pretty sweet. So hang in there and be ready for the grind. Spencer: 100%. Success stories are out there, they’re happening, people have stuck with it, built really great sites. Whenever somebody ask me is this is really possible, I tell them to go look at all the brokerage sites, Empire Flippers, Quiet Lite Brokerage, FE International. Look at the sites being sold. These are content affiliate websites many times and they’re being sold for six figures, or seven figures. These are people that have built sites from scratch over two, three years, whatever it is, and they were able to have this big exit. Yes, this stuff works. It just takes time. It takes a lot of effort. I’m ready to put in that effort. I’m ready to document the process on Niche Pursuits. I’m excited for Niche Site Project 4. I think we pretty much covered it here in the podcast. Hopefully, people have a good idea of what we’re going to be doing, they’re excited to join, and at least follow along if nothing else. When’s the next podcast, guys? What have we got? August 2019 here next podcast? Jake: Yeah, I’ll pencil that in. Spencer: Reserve that for us. No, I’m going to try and do weekly podcasts. I said it out loud now so now it’s a real commitment. I will try to be back here next week. If not an update for Niche Site Project 4, it will be an interview. I’m going to bring back some of those interviews or just a discussion with Jake, Jason, and I. 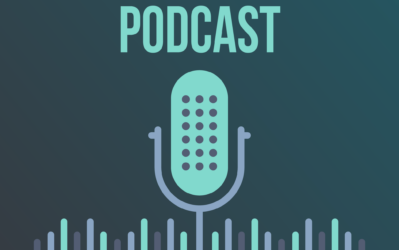 Get ready for the podcast in addition to Niche Site Project 4. It’s good to be back, good to be here, and hopefully everybody got some value out of that and is excited, ready to go. Any final closing thoughts from either of you guys, Jake or Jason? Jason: I’ll just say that I’m excited. I started following you really when we did Niche Site Project 1, Spencer. That was the one they got me into it and I struggled a lot. It took me time to figure stuff out on my own and following your teachings. That was the turning point for me was when we did the first one and I’m just super pumped to see us get back to the roots and show folks what’s working in 2018 and beyond. Jake: Yup. Same. I’m excited about it. I’d say if you’re listening, you’ve been on the fence, and never taken a step and tried, this is a great time to do it. You can follow along from the very beginning and really we’re going to lay out the step-by-step process. So jump on board and take the journey with us. Spencer: Thanks for your thoughts, guys and thank you everyone for listening. You can follow along at nichepursuits.com/nsp4. Thanks a lot guys. Good to know that this new challenge begins! For future podcast’s, seen as though there are so many people following along, might be good getting a group of say 2-5 people on to talk about their current process with their sites and also maybe pick your brains regarding previous posts about the process? Not the same people every week, although in a years time or something could revisit, just to keep things fresh. That could be interesting. Logistics of 2 to 5 people may be difficult…but at least having one other person on could work for sure. Yeah that would work…. what about getting Jake and Jason to follow the process as well with their own site? Be interesting to see the approaches and the success the three of you have. Assuming they have time, that is. I’m sure they will jump in and help me with my site along the way. Hi, this is a great concept! Is there a start date for the Niche site 4? This is still the best podcast there is. Looking forward to part 4 of NSP4, as i will join the 6 months goal!